Hackmatack is back!!... Registrations are now being accepted! The Hackmatack program is back for its 19th year. The program for children in Grades 4, 5 and 6 introduces young readers from Atlantic Canada to great Canadian books and authors. It is a great way to get kids reading. It empowers them by giving them a say in choosing the most popular books in four reading categories: English fiction and non-fiction, and French fiction and non-fiction. Participants read from the selected Hackmatack books—ten in each category--and cast votes for their favourites in March 2018. 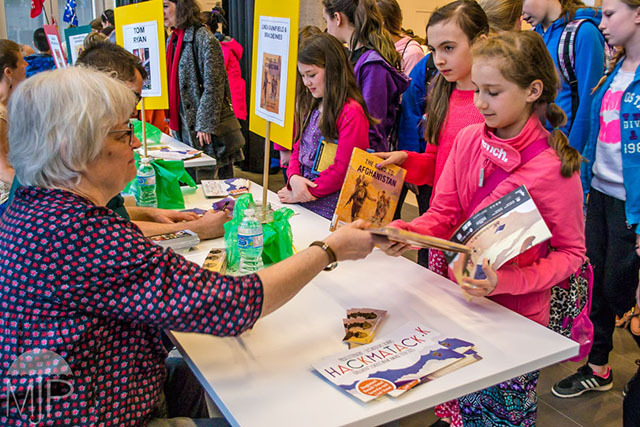 Nominated authors tour across Nova Scotia May 28-31, 2018, and the winners of the Hackmatack Children’s Choice Book Awards, determined by the children’s votes, are announced at the awards ceremony, taking place June 1 in Saint John, New Brunswick. Every school across Nova Scotia (with grades 4 to 6) will be receiving a set of the Hackmatack titles, in both “fiction” and “non-fiction” categories, from the Nova Scotia Department of Education & Early Childhood Development. Registrations are now being accepted from schools, libraries and community groups in the Atlantic region. The deadline for registrations for this year’s Hackmatack program is December 31, 2017. Register your grades 4 to 6 class or group, read the books, and vote. Visit the hackmatack.ca website for more information. Download the Project Kit, the program runs in both French and English.